Of course the best way to avoid finding yourself in this unenviable situation is to actually complete some prior interview preparation. However we are very aware of people’s tendency to ‘wing it’, and whilst we would strongly advise against such a dare-devil approach to job seeking, it is only fair that we offer a few pointers on how to make the most of this dire situation. So, let us begin by setting the scene. You have arrived at the interview waiting room, and for reasons known only to yourself, you have not completed a single scrap of interview preparation. When we say ’no preparation’ we mean ‘no preparation’, all you know of the job and the company is what was written on the vacancy advertisement, and most of that is long forgotten. If you can resist the urge to run limbs flailing in all directions, there are still a few things that can save you, even at this shamefully late and perilous stage. The clock is ticking and at any moment someone will appear to usher you into a roomful of eagerly waiting people. There isn’t a second to lose. Chances are there will be quite a bit of information you can quickly gather from the waiting area, which should at the very least give you a grounding in the key aspects of the business. In particular keep an eye out for brochures and pamphlets which might be able to give you a quick summary of things like their mission statement, key services, company ethos, and so forth. Of course you might find nothing, in which case a change of tactic is needed. Given more time you could undertake a full and complex analysis of their use of social media, but you need some short, snappy titbits of information; Twitter is the best place to find these. 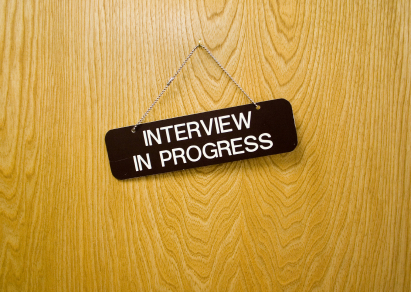 Any company news which it might be of benefit for you to reference during the interview. It is also likely to contain plenty of references to their blog, allowing you to quickly gain a sense of the topical issues surrounding their industry. However, if the company doesn’t have a Twitter account, you could be left blindly searching for something that isn’t there. If this is the case, you need to abandon your efforts and move on quickly, before wasting any more time. But don’t simply type the name of the company and hope for the best; almost all websites will have an ‘about us page’ so type ‘about us page’ beside the company name to get quick access to this wealth of information. 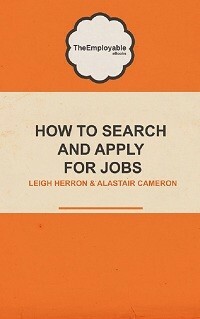 Skim read the content, picking out the key pieces of information that might be of use to you within the interview. Here you might also come across some information regarding people likely to be included on the interview panel. A quick browse through the profiles should be enough to familiarise you with some of the people you may be about to meet. As a very last resort, you could try sparking up a conversation with a fellow interviewee, in the hope of picking up a few snippets or information that might be of use to you. Of course this requires a high level of skill, social dexterity, and might end rather badly. It is also morally, rather questionable. As we said at the beginning, the best way to avoid finding yourself in this situation is to actually complete some interview preparation… just saying. If you prefer a more sensible approach to interview preparation, you might like to take a look at some of these recent posts.